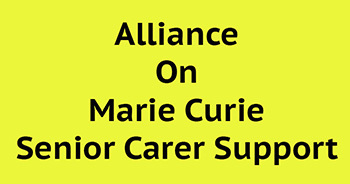 Alliance Health spokesperson Paula Bradshaw MLA has commended Marie Curie for its work outlining the challenges faced by older carers in a new report. The report, entitled Lost Retirement, makes a series of recommendations including all health and social care professionals having a statutory duty to identify older carers and refer them for support, and older carers should have access to high-quality replacement care to help them take a break from caring. “I welcome this report, which will contribute to the important debate about how we provide health and social care to our ageing population. With increased life expectancy comes increasingly complex health needs as people advance in years, and these needs are often attended to by other older family members or friends. “The fact our public services would go bankrupt if we had to remunerate these carers is well made, but the report also focuses rightly on all the practical and emotional support they provide to their loved ones at the most vulnerable times of their lives. This applies not just in their homes, but also when they have to stay in hospital for prolonged periods. It can also come at the expense of the carer’s own health needs, ranging from physical exertion to sleep deprivation as well as the enormous emotional and mental strain. “We are lucky to have such a strong Marie Curie team in Northern Ireland, which recently won two UK-wide awards, but we also have to do more to support their and others’ great work, particularly around respite for carers.